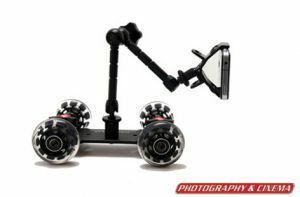 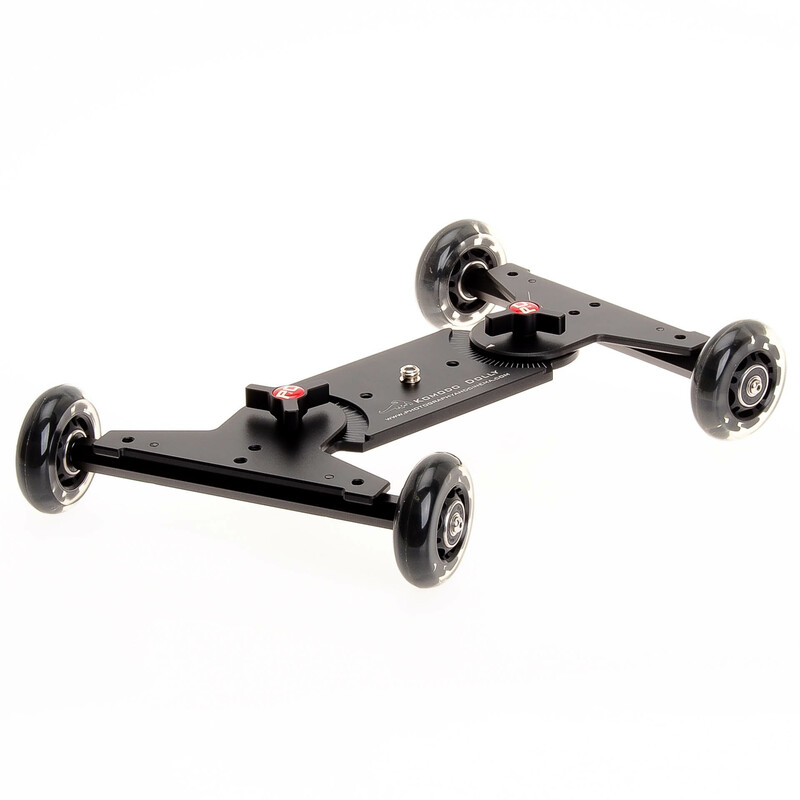 The new Komodo Dolly is designed for full size DSLR’s and Camcorders featuring a CNC cut all metal heavy duty base that is black anodized. 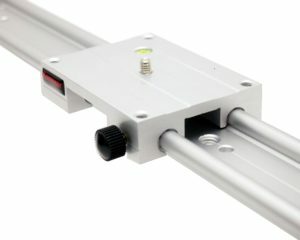 The unit measures 12” long by 6-7/8” wide. 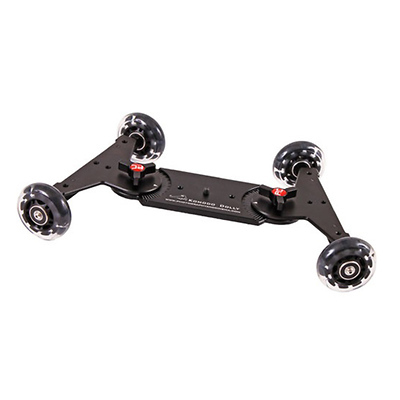 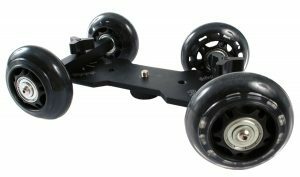 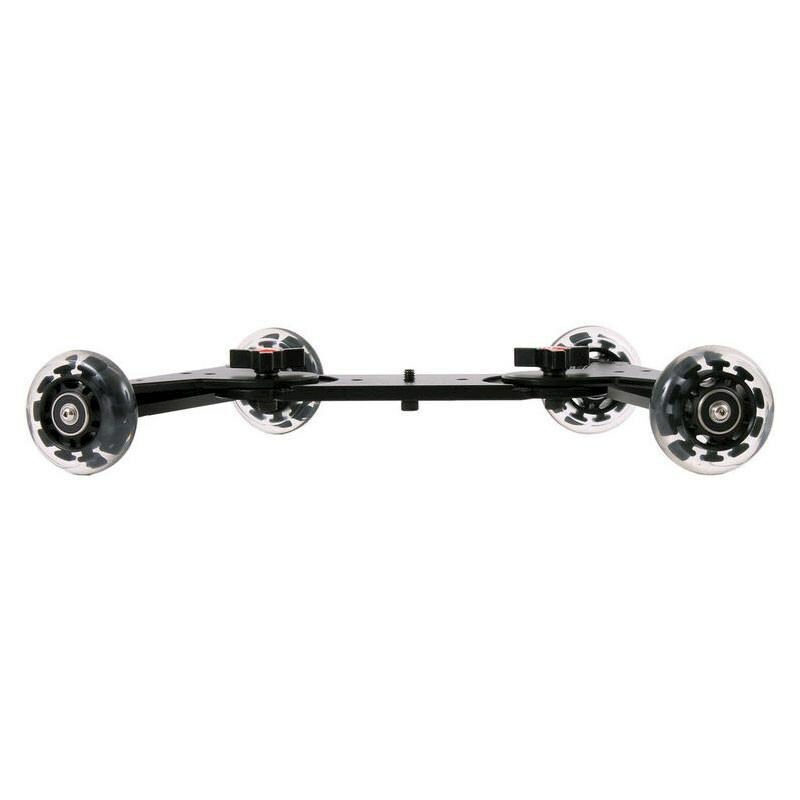 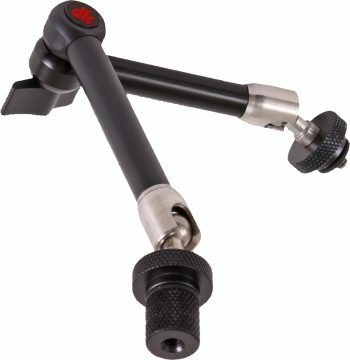 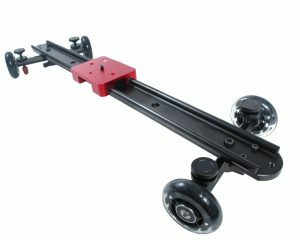 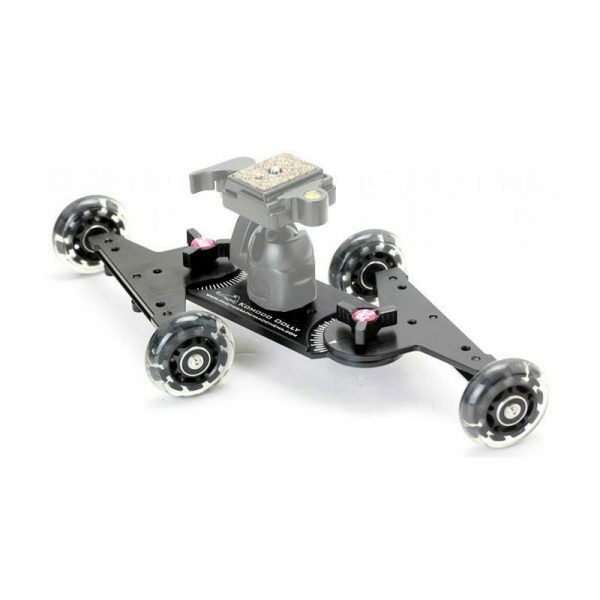 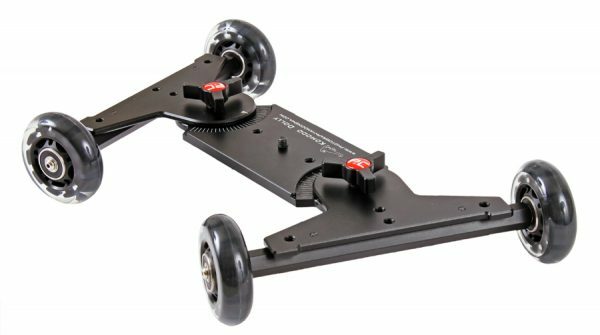 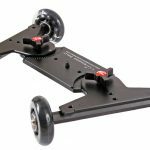 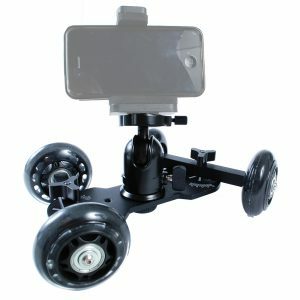 The flat axels support fluid roller bearings for a smooth flow of the dolly. 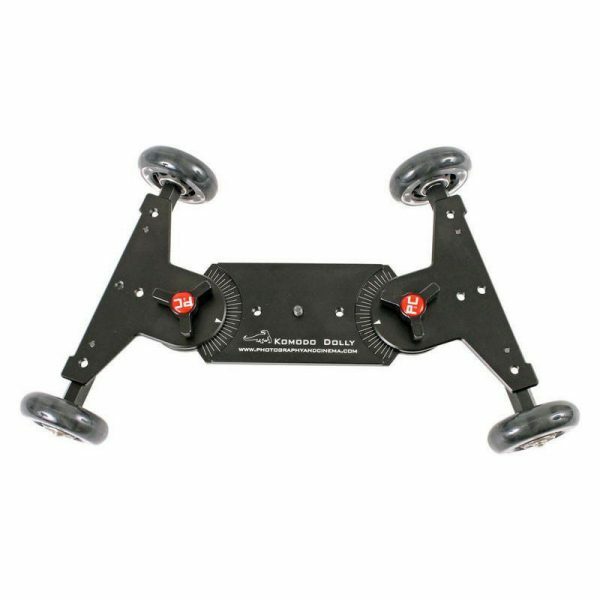 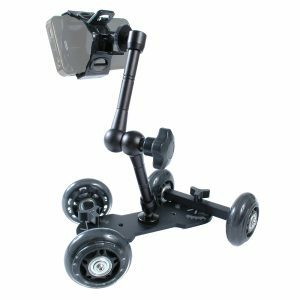 Built into the dolly are 2 protractors that make it easy to set the direction of the dolly which has a very tight turning radius if desired. 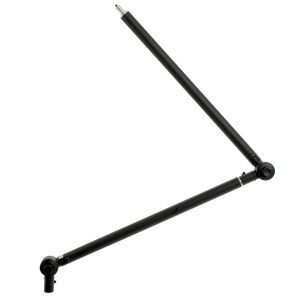 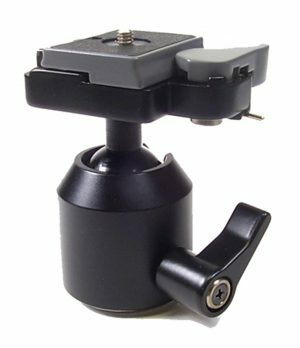 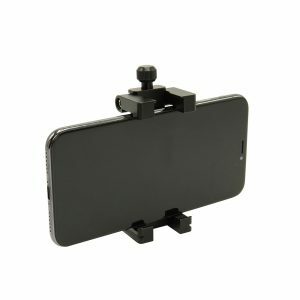 Finally, there is one 1/4-20 male post for mounting a ball head or fluid head and 8 female 1/4-20 threads placed at strategic points on the dolly to mount accessories making this a very versatile and useful tool.